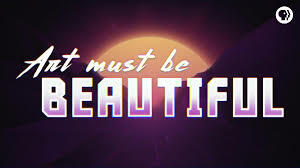 Please join us on October 18th at 5:30pm in Verge’s main gallery as we discuss whether or not art should be “beautiful.” PBS’s The Art Assignment explores the ancient philosophers’ thoughts on beauty and considers why we might be skeptical of beauty today. Check out the link to watch the short video in preparation for our discussion. This will be our last salon meeting of 2018, so be sure you don’t miss it! Wine will be provided, but feel free to bring a snack to share!